Porsche's second-generation Panamera will arrive in dealerships in November. Porsche plans to build up to 30,000 units of its new Panamera generation during 2017, its first full sales year. "That is our goal. If the customer wants more, then we will build more," Siegfried Buelow, the head of Porsche's factory in Leipzig, Germany, told Automobilwoche, a sister publication of Automotive News Europe. Porsche launched the fastback-styled Panamera in 2009 as its first four-door sedan. Its peak year of global sales was 2011 when 28,000 were sold. Last year 17,200 were sold. Porsche CEO Oliver Blume is cautious about the latest model, predicting 20,000 annual sales for the sedan. Research firm IHS Automotive is more optimistic, forecasting sales rising to 35,444 by 2020. The new Panamera will be in dealerships in November. It will be entirely built in Leipzig for the first time. The outgoing car is built in parent Volkswagen Group's commercial vehicle plant in Hanover, Germany, although Leipzig handled preliminary and final assembly. Porsche has spent 500,000 euros on the paint and body operations in Leipzig. The Panamera is being built on VW Group's new MSB platform. Six body styles will be derived from the platform in Leipzig, including the standard Panamera, a longer version and a station wagon called the Sport Turismo, which is due to arrive next year. The Leipzig plant has reached its capacity limit. "We can build about 150,000 cars a year with 16 shifts per week," Buelow, said. The plant, which opened in 2002, will employ more than 4,000 workers for the first time this fall. 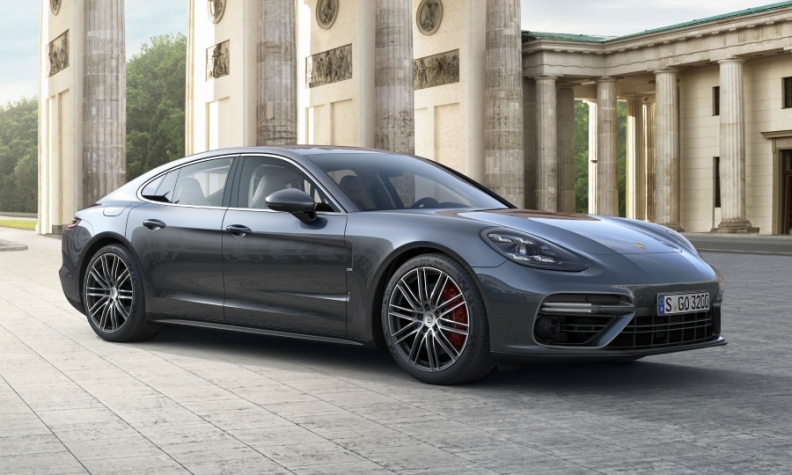 About 600 new positions have been created just for the Panamera. The Macan SUV, Porsche's top-seller, is the only other model fully built in Leipzig. Annnual production of more than 90,000 units isplanned for the Macan. Final assembly of the Cayenne SUV is currently carried out at Leipzig and in VW's Osnabrueck plant in Germany after initial production in VW's factory in Bratislava, Slovakia. Starting in 2018, the Cayenne will be entirely built in Bratislava, alongside its sister models, the Audi Q7 and VW Touareg. After years of fast growth, Leipzig will now undergo a consolidation phase. There is still space for a potential expansion near Leipzig's airport. But Buelow is not expecting more investment for now. He said Porsche will focus on its Mission E project, its first fully electric sports car, which is scheduled to be built at the brand's factory Zuffenhausen, Germany, and reach the market at the end of the decade.